Chances are, you just found exactly what you were looking for. Towering over everything in the immediate area, the new 450 rack barn can easily accommodate the new generation, quad-engined, large 48 foot center consoles so popular today. 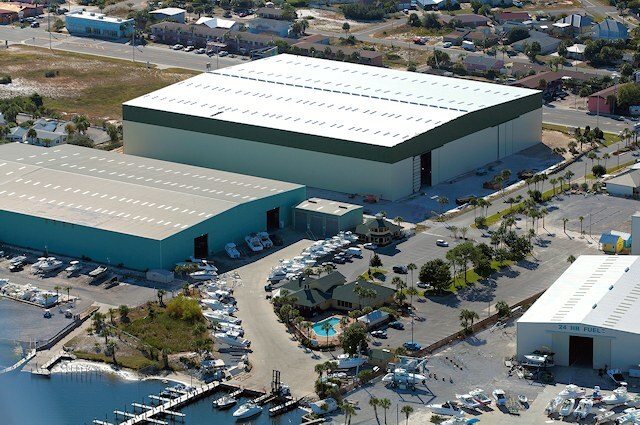 With it's 85 foot wide well lit, fork lift aisles and abundant ventilation systems, the barn represents the very latest design in secure indoor boat storage. 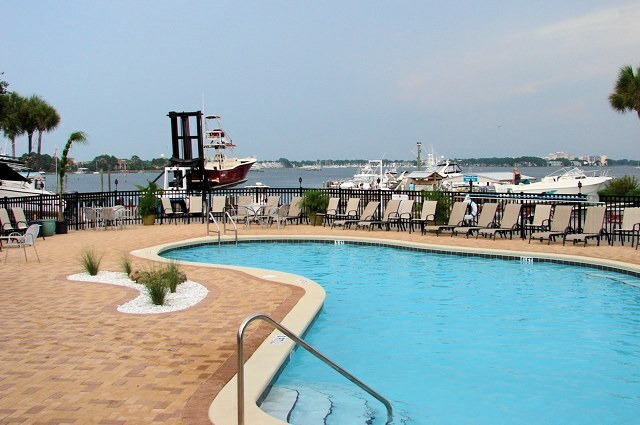 Imagine finishing your day on the Gulf with a refreshing plunge into the blue waters of the pool at Pirate's Cove Marina. 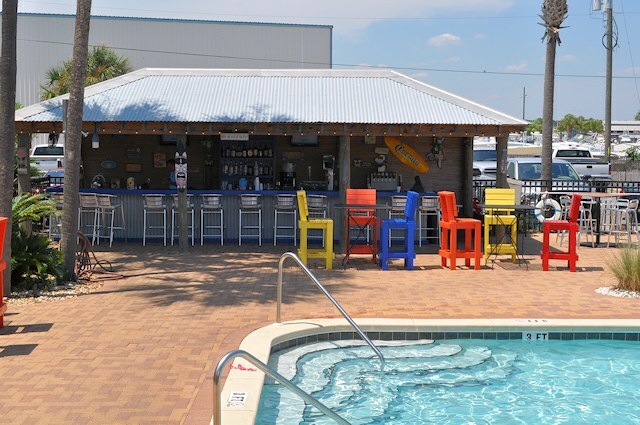 The next time your crew leaves the dock you might just decide to stay behind to enjoy some down time for yourself. Overlooking beautiful Grand Lagoon, the pool at Pirate's Cove is almost a destination unto itself. Need another good reason or two to linger longer at the dock after your next gulf trip? The quiet shade, the gentle sounds of the cool breeze moving through the palm trees, and refreshing adult beverages from the Pirate's Tiki Bar could be exactly what you need. There's no better place to meet up with friends before casting off to watch the sun go down on a lazy Florida afternoon. 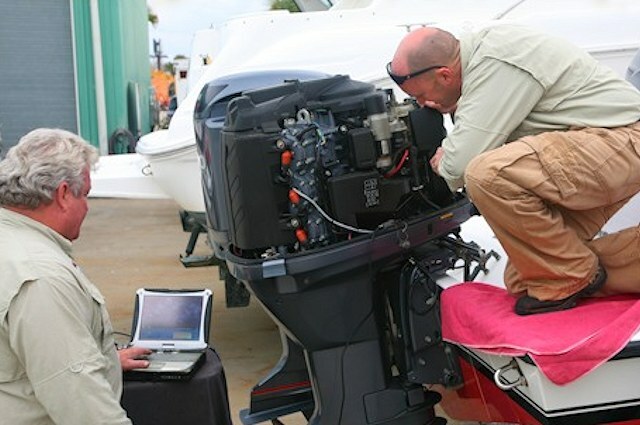 Marina Services, the Service department of Pirates Cove Marina, offers complete factory certified and trained technicians supporting all the major engine brands including Yamaha, Honda and Mercury. With more than 30 years of experience in engine repairs, whether you need a simple bilge pump replacement or a complete overhaul on your engine, we can satisfy your service needs. 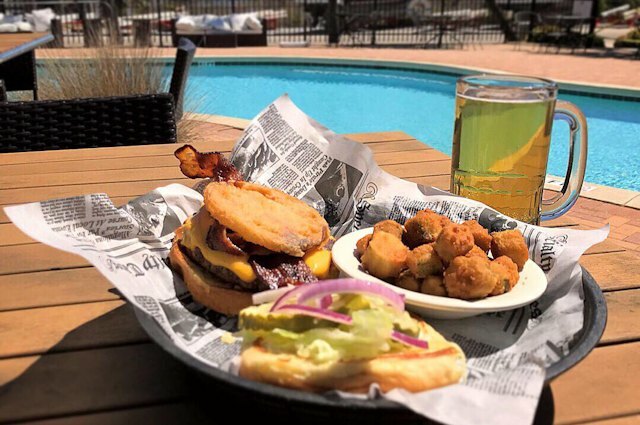 Sisters of the Sea & The Dive Bar is making a splash on Panama City Beach with a menu of award-winning dishes in Seafood and New American cuisine. â€‹Not only do we have amazing award winning dishes, but we are also home to live mermaids and pirates who love to melee and swim with guests of all ages! Swim with mermaids and play with pirates, come for the food and stay for the fun!